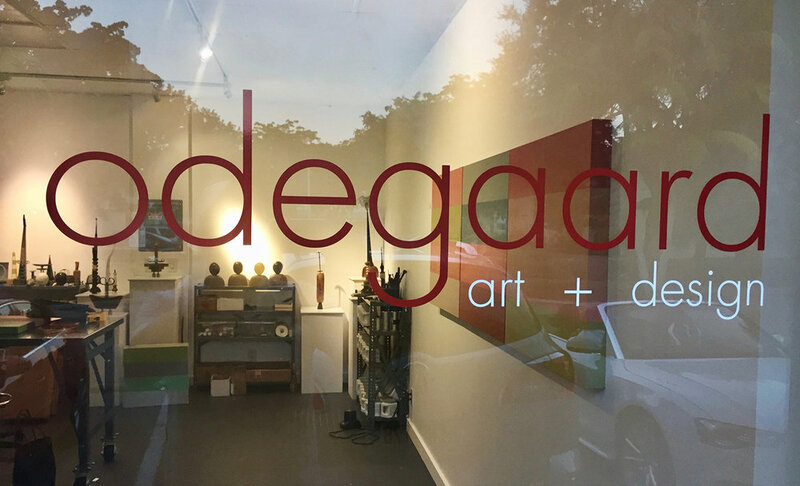 Odegaard art + design is the name of a storefront studio and exhibition space in downtown Naples, FL and a working studio in Castine, ME. 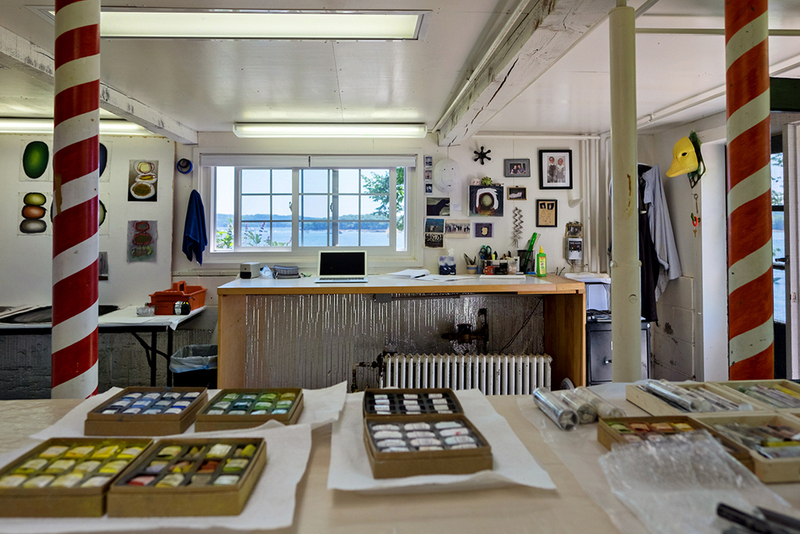 I recently moved to Naples and Castine from New York City, where I worked as an artist and designer for 35 years years. Now I am working as a full-time artist in these two locations. The process of art making for me is mostly intuitive – one of engaging with the materials, staying with whatever direction I’m taken, and recognizing when it is time to stop. When successful, the work forms itself spontaneously. The assembled sculptures are made by way of “putting together” and “taking apart” until the piece finds its own identity or character and feels right. The process might be likened to that of a collagist. How the various formal elements finally organize themselves in scale, proportion, pattern, color and texture becomes the distinctive content of each piece. My approach to painting and drawing is similar to that of the sculpture in that each piece starts with one mark which leads to the next and the next and so on until the piece is complete. There are some figurative references in my work which have led me to consider the varied aspects of the human psyche, such as identity, individuality, humor and character. This is of particular interest to me in the more abstract assemblages, as they seem to take on distinctive personalities even though almost completely non-figurative. 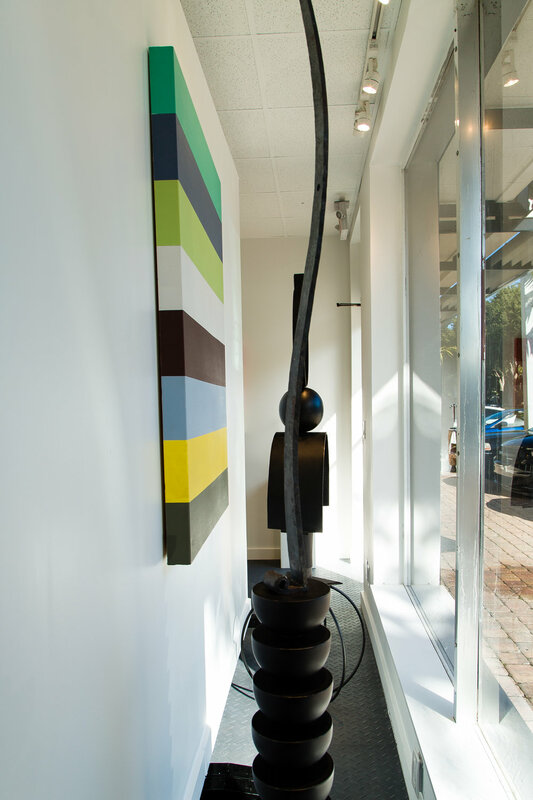 The larger sculpture emerged out of a friendship with fellow sculptor and fabricator, Bradford McDougall. He saw the potential of translating my little assemblages into a much larger scale, and knew how to do it. The large pieces are constructed out of a mix of media in his workshop/foundry. In their construction, they take on a distinctively different presence than their smaller counterparts. This collaboration has provided a springboard for a whole new and exciting direction. © 2016 Dez Ryan Odegaard | All Rights Reserved.